Pursuit Boats have been one of the most widely-recognized American boat builders for the last several decades. 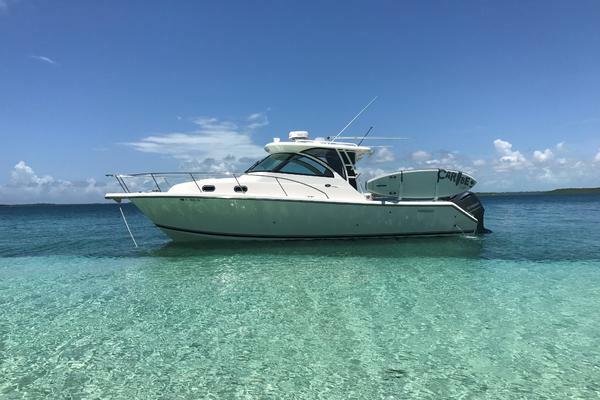 From their mid-range offshore models to sport coupes and center-consoles, there are a variety of options available when it comes to choosing the right pre-owned Pursuit Boat that meets your requirements. In 1977, Leon Slikkers, founder of Pursuit Boats, introduced their first series of fishing center-consoles. By 1983, a new, 75,000 square foot plant was built in Fort Pierce, with the goal of growing the company into a major builder in the marine industry. By the 1990’s, Pursuit introduced transom brackets, which became an option for all models, and along with their style and reputation, the number of Pursuit being sold far outweighed expectations. By 1997, Leon Slikkers was inducted into the Michigan Boating Hall of Fame for his efforts with Pursuit. Fast forward to 2018 and Pursuit Boats are still award-winning boats with the South Florida Manufacturing Association recognizing them as runner-up for builder of the year and the NMMA presenting the prestigious CSI award for the 16th year in a row. There are many pre-owned Pursuit Boats on the market today with so many built over the years. Models, condition, and the history of each boat can differ greatly, so let a United Yacht Broker assist you in your search. The OS 385 is a flagship model measuring just under forty feet in length. This vessel has all the comforts of home as well as a 360 degree water view. There are two available floor plans to choose from when selecting your OS 385, both with roomy lower decks and a 13-foot beam. The galley is equipped with storage cabinets overhead and under as well as with a 7.5 cubic foot refrigerator/freezer. For the interior and comforting part of this vessel, there is a convertible berth, mid-berth settee, dinette seating area and much more! The deck has a self-draining cockpit, molded transom, bow rail, navigation lights and more amenities once you get on board to find. The Pursuits OS 325 delivers a combination of finely engineered features designed with a timeless and elegant exterior. Cabins equipped hardwood floors and modern fabrications. A galley, on the port side, is equipped with upper and lower cabinets, and a molded sink with a cutting board cover. A ton of storage lines the cockpit along with a tackle center and a fresh water wash down. This OS 325 Pursuit is an award winning vessel and she delivers nothing but the best, innovation and excellence in the perfect sized package. The C 260 is an award winning product that Pursuit has introduced in its recent years, equipped with a ton of standard equipment. Timeless styling and modern finishes, set the stage for a new generation of luxurious Pursuit Center Consoles. From bow to port, there’s an endless amount of storage, and a head for when your miles off shore and duty calls. There are four rod holders all mounted in stainless steel, Gunwale. A dedicated cooler storage for the catch of the day and a bait prep cutting board. On both, port and starboard, there are aluminum reinforcement plates for downrigger installation. 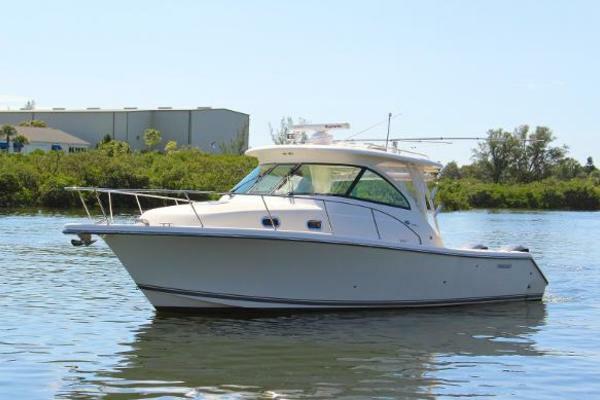 This vessel is a perfect boat for any type of fishing you desire! Award winning, 26-foot, dual center console is the DC 265 with new levels in design. The engineering and performance are superb for this growing segment. The hull is classically structured for family fun, causal fishing, or just cruising the open water. Seating on all sides of the vessel, along with recessed port and stern seating to accommodate for the whole family. The DC 265 offers endless possibilities for exploration when aboard. The all new DC 365 was perfectly by pursuit in its recent years. The innovation of this vessel has been engineered to bring your sport utility experience to the next level. With port and bow seating, giving you a comfortable place to enjoy whatever type of water activity you choose for the day. A large tempered glass windshield with wide walkways from bow to stern line the vessel. The cabin is easily accessible with a fiberglass door and solid wood accents. A small family or a couple are able to fit comfortably for an overnight stay out on the water. The DC 365 can do it all with room to spare, and in the best style that there is, Pure; for Pursuit. Built by Pursuit, powered by Yamaha, a perfect way to revolutionize the way you experience yachting. The styling aboard the SC 365i is more modern than the rest with a sleek transom design, windshield framework, hardtop and hull side windows. Natural lighting filter through the vessel through the six hull side windows, port and starboard. A galley, head and convertible dinette have a full beam midchain and are expertly engineered in the perfect placements. The Pursuit SC 365i will change the way you day boat or stay aboard overnight. This vessel delivers the most exciting sport yacht design and innovation that is on the market today. Industry leading features describes the S 368 perfectly. A luxurious center console, with superior ample amenities. The console includes modern amenities such as a fully enclosed head, convertible sofa berth and large storage areas. The deck has distinctive social zones in the bow area and at the helm, a great space for enough family and friends to enjoy themselves and company and if it’s not socializing you’re after, all the amenities are included for a day out fishing. Starting at 28 feet, the S 280 is a luxury center console that delivers a refined level of amenities to enhance the fishing experience. With stunning good looks and exceptional handling, the performance on this vessel is out of this world. Standard features include rich teak accents, fiberglass hardtop, an overhead electronics box and overhead storage. The S 280 is the perfect vessel for catching dinner and enjoying yourself and with friends out on the open sea. If you’re interested in purchasing a Pursuit Center Consoles, a United Yacht Sales professional can assist you in your buying needs. All employees are trained to identify as many ways as possible to improve your experience when purchasing a Pursuit Center-Consoles. Being a 100-percent customer driven business, United delivers every time. 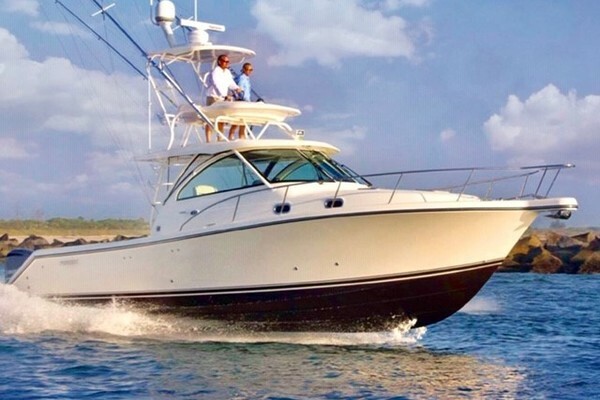 United Yacht Sales has experience and the product knowledge to sell your used Pursuit boat quickly and efficiently. Selecting the right full service brokerage firm when selling your yacht improves the likelihood of a seamless and timely transaction. Listing your Pursuit Boat with United, you can be certain it is in the hands of dedicated professionals.